What is a forging good? Forging goods are the building block of an item. Different item prefixes and suffixes require different set of forging goods. They are also called materials for short. Where do we get forging goods from? Two ways of obtaining them. Drop - Forging goods can drop from all mobs in the game. In Events, Dungeons and Expeditions. 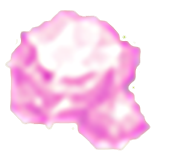 Lemures in Dragon Remains (Germania) for example has 45% chance if material (forging good) is dropped, for it to be an Amethyst and 25% chance to be a Potion of Perception. The other 20% are for mentioned above 4 base materials (5% chance to drop for each) and the last 10% are to drop any other material randomly. This means that you might want to go and farm a certain mob in an expedition more just to get one or two missing materials you need. Smelting is more reliable for finding a forging good than hunting in an expedition but if you have no cooldown or no item to smelt for this specific material you need and the market is empty, this might be your last chance to get your needed material. I will be pulling this information and use it below for all forging goods out there. Smelting - Smelting is the second way of obtaining forging goods and the most reliable one. More on the Smelting page but in general, depending on what are the prefixes and suffixes of the item being smelt, exact forging goods can be obtained from smelting. If you want to know exactly what prefixes or suffixes to smelt in order to get a specific material, continue reading. Important material used in high level prefixes such as Lucius. Also used to repair Lucius. Drops mostly in the Underworld. From Alecto and Megaera more commonly. A somewhat rare ore that is part of several high level suffixes, primarily known for "of Fire"